Originally I had scheduled this week to be Invention Week. I had so many fun things planned and had already checked out loads of Inventor books. After looking over our schedule and all that we had to do this week, I decided to put Invention Week on hold until the fall and have a Camp Mama Finale!! What is the finale? Well it is a celebration of a wonderful summer of Camp Mama. It is all about creativity, reflection, revisiting old themes and having fun! It is the perfect theme for the last week of Camp Mama because anything goes!!! Here is what we have planned. 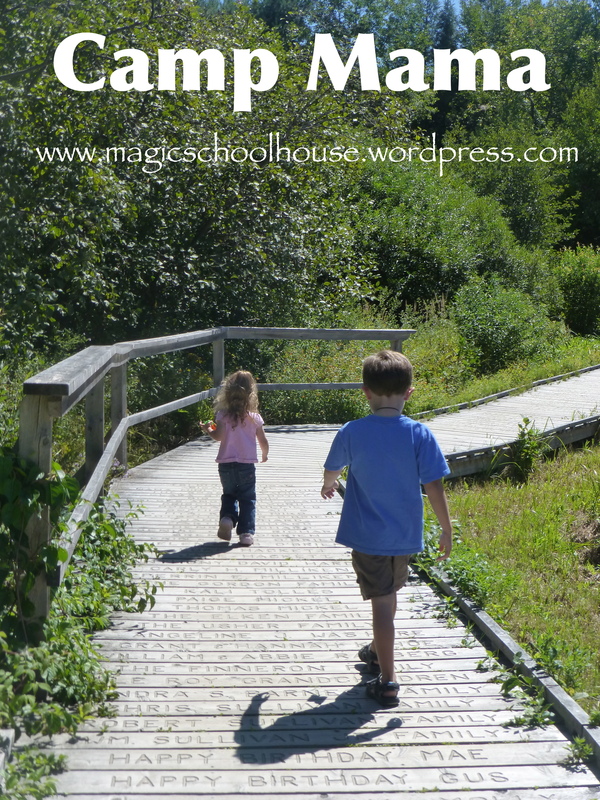 -Outside Time–Bird Watching, Cloud Watching, Side Walk Chalk…fun! Lots of favorite books from the summer!